how you can be released of all resistance. ​What I have available now are these short and sweet Energy Coaching Packages that anyone who is new to me can purchase to experience how this work can unfold for them. Some of the sessions are Energetic, depending on what someone needs, and sometimes they are coaching. It works beautifully and perfectly, as it can be customized to suit whatever each individual's needs might be. Just trust what your spiritual guidance is telling you to do. This system works. Through many, many years of guidance and training, I am able to tune in to a higher power, see exactly what is going on in your interior, and deliver messages for you, so that you will gain that clarity and clearing in a very short period of time. Plus, there are follow-ups included in your package, so this work is anchored in you permanently. You will not be able to fall back into your old ways! "Suzanne goes directly to the heart of the matter at hand with clear and powerful insights. I am so very grateful for this healing connection." "I emerged from my session with Suzanne feeling refreshed and renewed, which I hadn't expected, as we went really deep, and I had a major emotional breakthrough. Suzanne is gentle but still gets you to do the work. I highly recommend her and am looking forward to our next session." "Speaking with Suzanne left me feeling so good and so excited for all that is coming into my life. She has a way of putting you at ease right away, building a relationship of trust that is necessary to do the work. I feel very fortunate to have had the opportunity to meet with her and would recommend it to anyone." This is for you if you're just getting started with energy work and you want to experience it, or you just want to check in for a periodic tune-up. This is for you if you know you want to tackle one area specifically, do a deep dive to getting at the core issue, and transmute that issue. Expect changes! ​we'll connect for a quick call. "My session with Suzanne was so amazing, and the two words that come to mind first are: beautiful and powerful. Suzanne helped me clearly see the impact that my work can and will have on the world. Her insights made my 'why' much more exciting and emotionally charged for me! She also was able to help me see an area of pain and limiting belief that I was unaware of. She provided a beautiful healing that brought tears to my eyes and a feeling of release and lightness to me. I feel like this session was an amazing step along my journey to my desired life. Thank you, Suzanne! "Before working with Suzanne I was in a pretty good space but felt that there was a particular negative energy that had latched on to me. After our session, I felt a lightness and a deep sense of love and caring which stayed with me for days. There was a release of the blockage and a freedom in my body as well as a deep feeling of acceptance. “Before working with Suzanne I had been uncertain about which direction to start putting my energies toward. I knew my passions and desires to make a difference in other people’s lives, but I wasn’t sure what direction to go in. Through Suzanne’s work we discovered how the work I had done in the past was highly instrumental in changing people’s lives; however, now it wanted to see a new evolution. Combined with my past professional writing experience, I am now taking my work in dance another step forward. 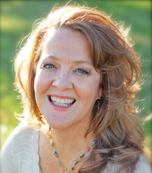 Energy Healer, Life & Entrepreneurship Coach, and 30-year student of channeled materials including A Course in Miracles, Suzanne uses her training and ability to connect to a higher power to deliver the shift, transformation, and transmutation of any energies within you that are ready to release. With careers in the film industry, gemology, options trading, real estate investing and beyond, having lived in over 22 cities and other locations in the US and Europe, Suzanne has experienced shifts and changes since coming from small town Catholic beginnings. These experiences have brought her to experience all of life's changes through the power of Spirit. The happiness of your life is waiting for you. 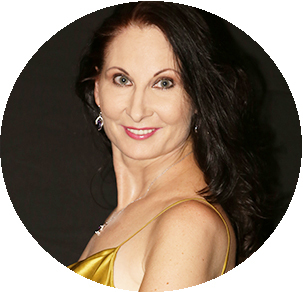 Suzanne is the creator of the Global Energetic Downloads, transformational CDs available for you to study and receive the energies directly from Spirit from the comfort of your own headphones. As a student of Gemisphere Luminary and a Graduate Gemologist from The Gemological Institute of America (GIA), Suzanne has designed and created genuine gemstone transformational necklaces that can be found HERE. ​we can connect for a call first.